The Nashville Sounds Baseball Club has been named by Ballpark Digest as "Honorable Mention" for Minor League Baseball's Team of the Year. It's the second consecutive season the Sounds have garnered the honorable mention recognition by Ballpark Digest. "This is another tremendous honor for our organization and we're proud to share it with our fans," said Sounds General Manager Adam Nuse. "Collectively, our mission is to constantly be improving every aspect of the fan experience at First Tennessee Park. The city of Nashville and the surrounding communities have supported this organization to the fullest and we're proud to be recognized by Ballpark Digest." With four games remaining in the 2018 home schedule, the Sounds are approaching 600,000 fans. 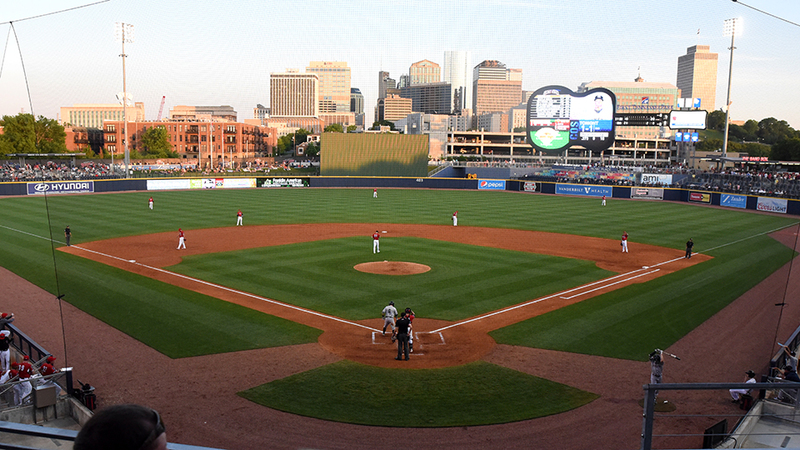 First Tennessee Park has seen 18 sellout crowds this season, bringing the all-time total to 73 for the fourth-year ballpark. The Sounds' front office staff and players have consistently been present in the community throughout the year. Over 20 players, along with front office members, have visited patients and families at Monroe Carell Jr. Children's Hospital at Vanderbilt on five different occasions. The Nashville Sounds Foundation has raised funds for the Miracle League of Music City, Play Like A Girl, Notes for Notes, Gilda's Club and Operation Homefront, among others. Amid a loaded promotions schedule, the Sounds hosted Teacher Appreciation Night, First Responders Night and two Bark in the Park nights that raised funds for AGAPE Animal Rescue and New Leash on Life. On the field, the Sounds captured the attention of Nashville with a magical 15-game winning streak in August to match a franchise record. With their current home record of 39-27, the Sounds have an opportunity to clinch the best home record in the Pacific Coast League this weekend. On Thursday, Ballpark Digest named Sounds Vice President of Operations Doug Scopel as their Minor League Baseball Executive of the Year.